With so many types of blenders and smoothie recipes, it can be a little confusing trying to figure out the best way to make a smoothie. Is there a right way to make a smoothie at home ? What ingredients should I use and how much ? Does it matter which type of blender I use ? 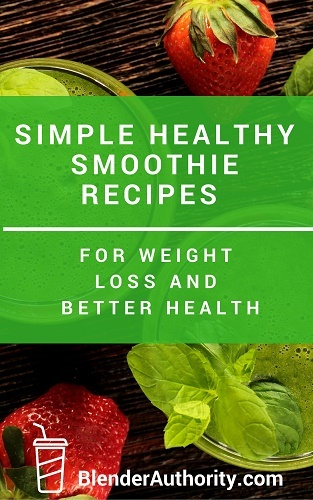 Whether you are experienced or brand new to making smoothies our goal is to make this the most comprehensive guide on how to make healthy smoothies. First we will cover the 5 simple steps for making any smoothie. Then we will go into more details on using different blender types and answering common questions about smoothies and smoothie ingredients. The main focus of this guide is about making healthy smoothies not dessert smoothies because we want to get healthy. Let's Get Started ! Side Note - We assume you already have a blender since you are reading this article. If not, this page summarizes the top blenders for every budget and links to the best model/price for each blender line. 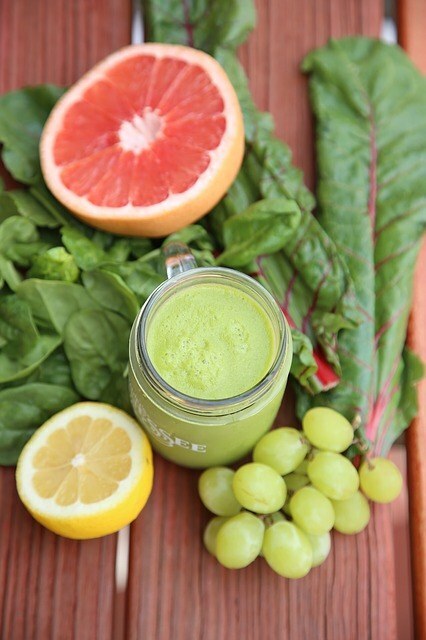 Green smoothies are all the rage now but really to make a green smoothie you simply add leafy greens(like spinach or kale) to a fruit smoothie. If you want to make a fruit smoothie then just use fresh or frozen fruit and a liquid. 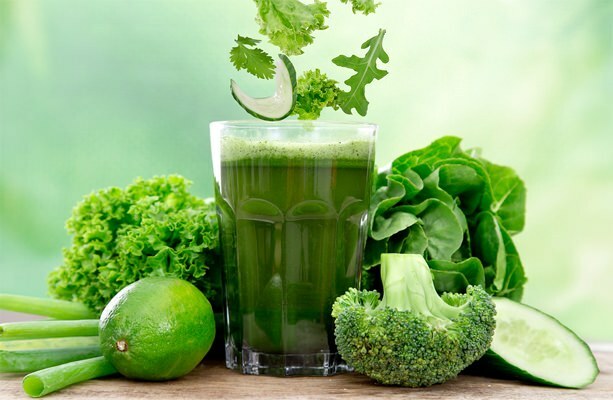 If you want to make a green smoothie then you would add one of the popular “greens” listed below. Keep in mind that the sweeter the fruit then the more sugar is will contain so try to avoid adding any sweeteners like maple syrup or stevia if you are doing a fruit smoothie. Typically, smoothie recipes that you see for Vitamix, Blend-tec or other full-size countertop blenders will make 2 servings which equals 32ounces or 2 pints. Whereas, a recipe for a Nutribullet﻿﻿, Magic Bullet, Nutri-Ninja, other similar size personal blender will be for a single serving and make 12-16ounces. These are just general guidelines and certain recipes will have variations to the portions. Below is the basic 4 step process listed in the order you should follow. We provide the most popular ingredient suggestions for each step so that you know the best ingredients you should use to make smoothies. The amount of liquid will depend on the ingredients, blender size, and how much you are making. Generally the rule of thumb is about ⅓ cup of liquid for every 1 cup of solid ingredients but it really depends on the ingredients. You can always add liquid as you blend to get the consistency that you want since certain ingredients like bananas, mango, or oats will make a smoothie thicker, whereas fruits like melons have a high water content. You want the softest ingredients closest to the blade so it can blender better. There are 1000’s of fruit and vegetable combinations so following proven recipes will save you a lot of trial and error from mixing ingredients that don’t taste well together. Popular Fruits : Apple, Banana, Strawberry, Mango, Pear, Peach, Berries, Melons, Pineapple, etcetera..
--> Ingredient Notes : Spinach is the most popular green used in green smoothies because it has a very mild taste and is packed with healthy vitamins and minerals. Spinach is good for beginner smoothie drinkers. (Other mild taste greens are lettuce and bok choy). Kale has a little more “earthier” taste but is good to switch up with spinach sometimes because it is nutrition dense. “Boost” ingredients can add flavor and nutrition. Usually a smoothie recipe would have ⅛-¼ cup of these “boosts” or just follow a recipe. Add a small amount of sweetener of spice for flavoring. Some recipes that use sweet fruits won't need any added sweeteners. A little natural sweetener added your smoothie can be a great way offset any sweet tooth cravings you might have especially during a detox ﻿﻿﻿﻿﻿﻿diet﻿﻿﻿﻿﻿﻿. Many times people will drink fruit or green smoothies as an easy way to increase their intake of fruits and vegetables in their everyday diet. If you want to turn a smoothie into a complete meal so that you feel full longer then consider adding a healthy carbohydrate to your smoothie. 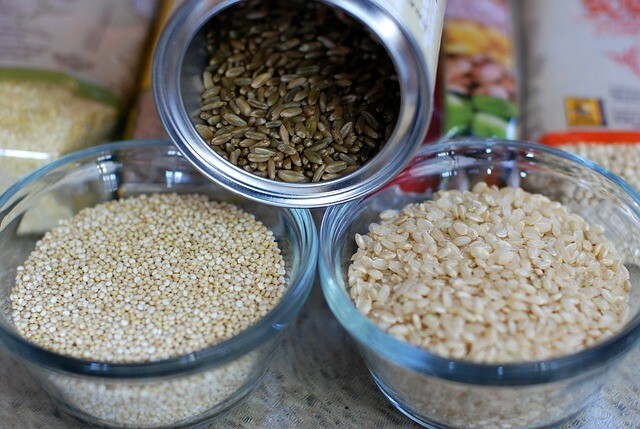 All you do is add a carb like raw oats to any existing smoothie recipe you use. Some smoothie recipes that use various “Boost” ingredients can also work as a meal replacement smoothie, but usually a meal replacement smoothie would have something filling like oats, quinoa, tofu, buckwheat, or sweet potato. You will see these healthy carbs sometimes referred to as “fillers” in smoothie recipes. These carbs add a little more calories to a smoothie but you feel fuller longer and they provide energy for your body. Typically you would add ¼-½ cup of one filler for each 16 ounce smoothie serving. For example, for a normal single smoothie serving adding ½ cup of oats would add about 150 calories to your smoothie. Some people just add a filler to their breakfast smoothie so they are full and have energy to start out the day. Sidenote - These “fillers” will make your smoothie thicker so you might have to add a little more liquid to your recipe to adjust for the change in consistency. Most smoothie recipes have fruits in them which have natural sugars so you really don’t need to add sweeteners. If your goal is to lose weight and feel healthier then try to avoid adding sweeteners. If you do use a sweetener consider using dried dates or prunes. The fruit in smoothies should be enough sweetness. Store bought juices have been pasteurized to increase shelf life and this removes many of the natural healthy components from these juices. This is why you will see many of these juices add back synthetic vitamins(Product labels that say “Enriched” means they are adding the vitamins back synthetically). Lots of research has shown that the body doesn’t absorb synthetic vitamins . If adding fruit juices to your smoothie recipes it is best to either juice the fruits yourself or if you have a small amount of juice to add like lemon/lime juice then just use a citrus press. Dried greens are usually dehydrated for longer shelf life and are no longer alive. Ideally you want to use fresh greens which have many more nutrients. If you are traveling then it can be hard to make smoothies with fresh greens so a good alternative is using a green powder supplement. There are a lot of claims being made about the benefits of various exotic superfoods like maca, spirulina, Goji berries, acai berries, and others. Taking these in moderation with a smoothie is usually fine but don’t expect a miracle result like as seen in weight loss supplement ads which use some of these same superfood ingredients. Few, if any, of these “superfood” weight loss product have any research or studies done on them. If possible get the superfoods raw at your local grocery store health section. Huh, what is a smoothie pack ? 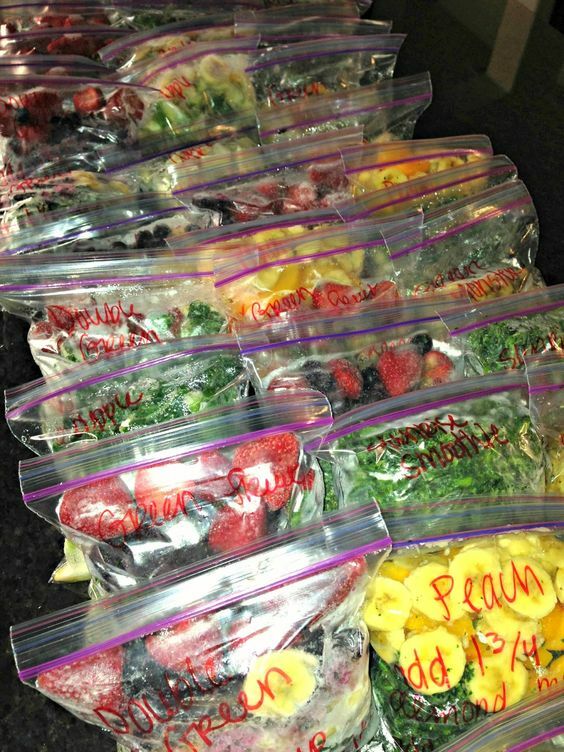 This is when you organize out all your smoothies for a week and pack all the ingredients in separate bags and freeze them. Then you just pull out a bag and add the liquid. Smoothie packs are great if you have a busy household and find it hard to prepare a smoothie in the morning. They also work great if you have family members with certain food allergies or food preferences that make it difficult to make a large smoothie for everyone. We recommend organizing it like they ﻿﻿did in ﻿﻿﻿﻿﻿this ﻿blog po﻿﻿st. How to Use the Blender for Smoothies ? A typical countertop blender like a Vitamix has the blade on the bottom and you add ingredients from the top. You should reference the specific instructions for your blender but below are the common steps to follow. Step 1 : Add the liquid and soft ingredients like greens or soft fruits like bananas or oranges. Step 2: Then add hard vegetables and frozen fruits on top. Step 3: Have hard ingredients like nuts or ice on top. Some people will add their superfood or protein powders once the other ingredients are purified. You want to have the softest ingredients towards blade. You should start the blender slow and move slowly to high speed to purify the ingredients. You want to see the liquid create a vortex and the time to blend will depend on your blender strength and ingredients. With a high powered blender like a Vitamix it usually takes 30-45seconds to purify the ingredients. Popular personal blenders such as Nutribullet, Nutri Ninja, Magic Bullet and others have really grown with the popularity of green smoothies in recent years. The recipes you see for large blenders will usually be for making more than 1 serving(2 or more pints). Whereas, the personal blender recipes you will find are portioned to make 1 serving (about 16 ounces or 1 pint). NOTE: Nutribullet suggests putting the ingredients in the opposite order than what Vitamix does. For a Nutribullet you would have the hard ingredients closest to the blade and the leafy greens at the top to be blended last. Add Fruits (50% of drink): Mix any healthy fruits on top of the greens up to the cup’s fill line so you see about 50% green and 50% fruits. Add ⅛-¼ cup of Boost (Healthy Nuts, seeds, or superfood berries like Goji / Acai. Add water to fill line. 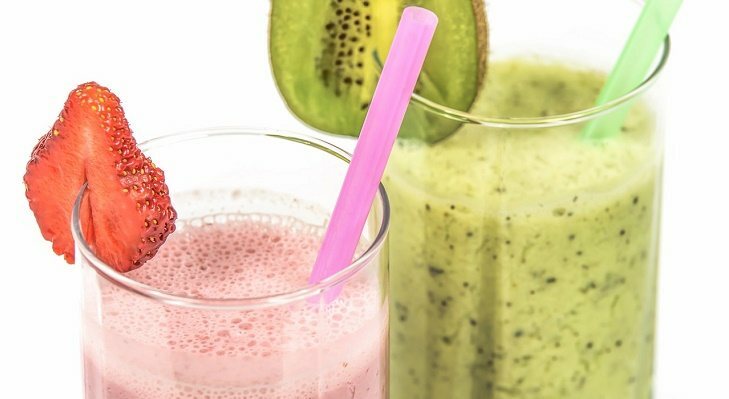 Using the Same Ingredients Everytime : It is important to switch up your smoothie ingredients so you aren’t overdoing it with certain ingredients. It is important to get a variety of ingredients that have different minerals and nutrients. Under Blending: Many people don’t add enough liquid to allow the blender to purify the ingredients. You want to see a vortex when the blender is blending and not see any lumps on the side of the blender cup. The time to blend varies on blender strength and recipe. The great thing with a smoothie is you can add more liquid to it to get the consistency you want. Using Too Many Protein Powders: Not all protein pow﻿﻿ders are the same. Some proteins are better for the body and some brands contain a lot of additives and sweeteners. Most smoothie diets recipes you will find contain no protein powders but instead get protein from the natural ingredients uses. ​Adding Too Many Different Ingredients. With smoothies, less is better. Using ice : Ice doesn’t work that great in smoothies but if you do use a little ice in your smoothie recipe make sure to add it last once all the ingredients are blended. Smoothie Too thick or frothy ? Try using less liquid if your smoothie is too frothy and blend it for less time. You can always add liquid once you have started blending to get it to the desired consistency. Some base ingredients like banana, coconut meat, yogurt, avocado can thicken the smoothie too much so keep that in mind when adding your liquids. Green smoothie is too bitter ? Start with spinach for your green rather than kale and use sweeter fruits like berries and bananas to get used to the taste. Try to avoid adding sweeteners but something like adding 2-4 dried dates can be good healthy sweetener alternative. Can you refrigerate a smoothie and eat it later ? Yes, but it will settle and many times taste better if you drink it the same day. Smoothie Isn’t Blending Right ? You need to have the right ratio of ingredients so that the smoothie liquid creates a vortex in the blender once the ingredients are blended. Make sure to have the soft ingredients closes to the blade so that it can create a good liquid base before getting to the harder ingredients. If you are using bananas, oats, avocados or other ingredients that can thicken the smoothie then consider adding a little more liquid until you get the “vortex” in the smoothie. Does it matter what blender I use for smoothies ? As long as your blender can puree the ingredients then that is all you need for smoothies. If you are looking to buy or compare blenders then read my "about" page for links to popular blender articles and guides. Whew, you made it to the end. Now you know all the basics to making smoothies. Just adding one smoothie to your diet everyday can cause dramatic improvement to your health and energy levels. Now all you have to do is just get started. Just remember to portion your ingredients to match the size of the blender you are using. Also , we recommend using recipes to save you the hassle of figuring out which ingredients taste well together and how much to use. Please share this post if you found it helpful have. Let us know if you have any questions. The complete step-by-step guide on how to make a smoothie at home. Learn how to make green smoothies, fruit smoothies and tips on the best smoothie ingredients to use.